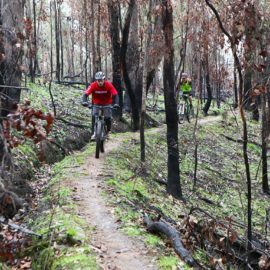 The Yackandandah Mountain Bike Track Network, also know as Yack Tracks, is located in the Stanley State Forest and has been built by a small band of hardy volunteers travelling under the name of Yack Tracks Inc. in collaboration with the land managers (DELWP). 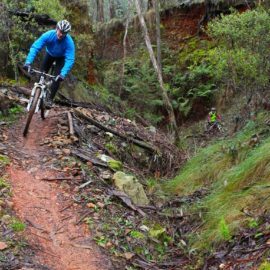 The goal of Yack Tracks Inc. is to create a sustainable network of well mapped and well managed long-form cross-country mountain bike trails highlighting the mining heritage of the local area that will be attractive to locals & visitors alike. 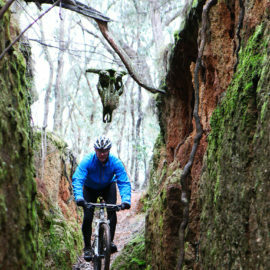 Utilising established design principles, the trails are both low profile and very low impact. Remnants of the area’s mining history, in the form of water races are distributed throughout the forest providing a ready-made framework of shallow gradient links between more flowing trails, at the same time dramatically reducing the amount of earth that has needed to be shifted during construction. The soils of the area have a high clay and loam content and once settled provide an excellent riding surface that exhibits good grip and erosion resistance. 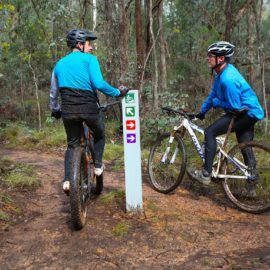 Care has been taken to avoid the ‘spider web’ effect that afflicts many mountain biking facilities, riders need not be stopping every 200 metres to confirm their position or decide on their next move. Long unbroken segment lengths have been created to allow riders enough time to fully embrace the track flow and enjoy their surroundings. 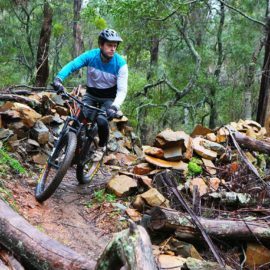 The trails range from easy to intermediate level, providing a safe but enjoyable ride experience. To find Yack Tracks head out of town on Bells Flat Rd. Download the Yack Tracks Trail Map below. 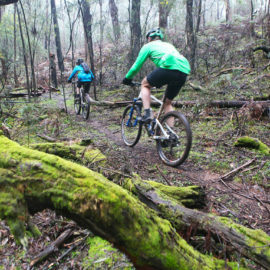 Check out the Yackandandah Cycling Facebook page for updates and alerts.